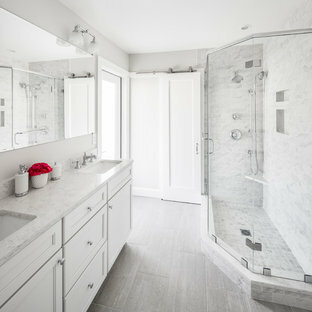 Complete bathroom remodel in a pre-war building. 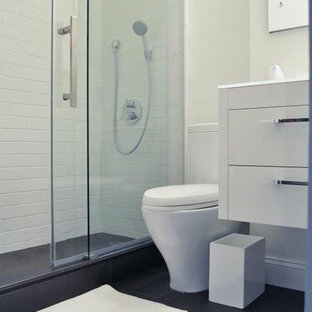 MyHome removed the existing tub, converting it into a sleek white subway tiled shower with sliding glass door and chrome accents. 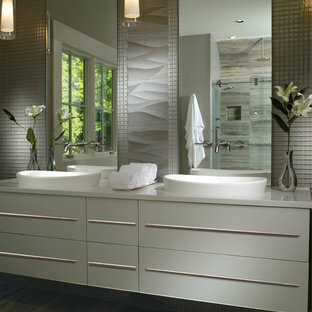 A floating wall mounted white lacquer vanity and large dark gray tile floor completes the modern transformation. 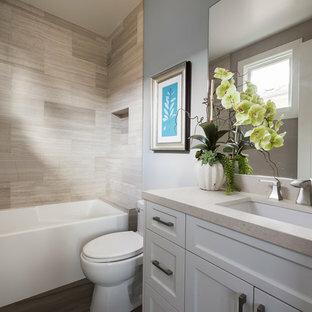 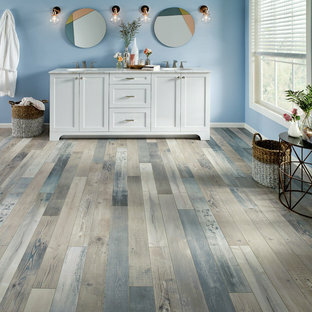 A modern bathroom which includes minimal amounts of furniture, to give it a sleek and clean look. 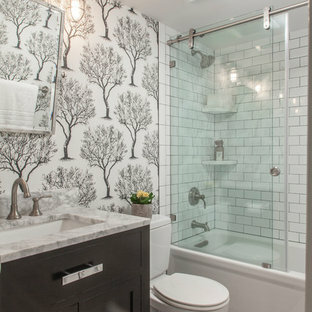 The geometric patterned tiles breaks the symmetry and brings in some movement in to this relaxing space. 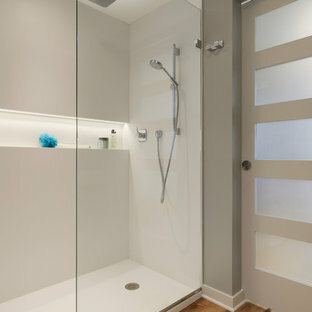 At Design A Space, we take particular care when choosing the finer details to finishes.